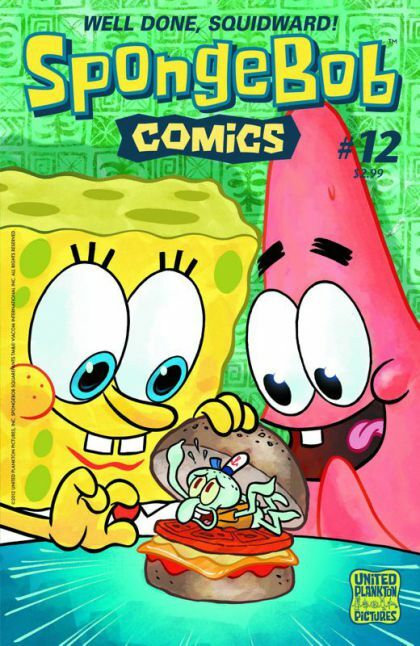 DOUG’S PICK :: SPONGEBOB COMICS #12: It’s not for me, though, my 7 year old, Anna asks me regularly if there is a new Spongebob Squarepants this week. When I can tell her yes and I see the way her eyes light up and the excitement in her voice rises, I know I’m raising her right and this is the pick of the week in my household. Spongebob the comic, just like SpongeBob the TV show, isn’t just for kids; I especially enjoy James Kolchaka’s contributions. It’s a whimsical read for you, and a gateway comic for kids.